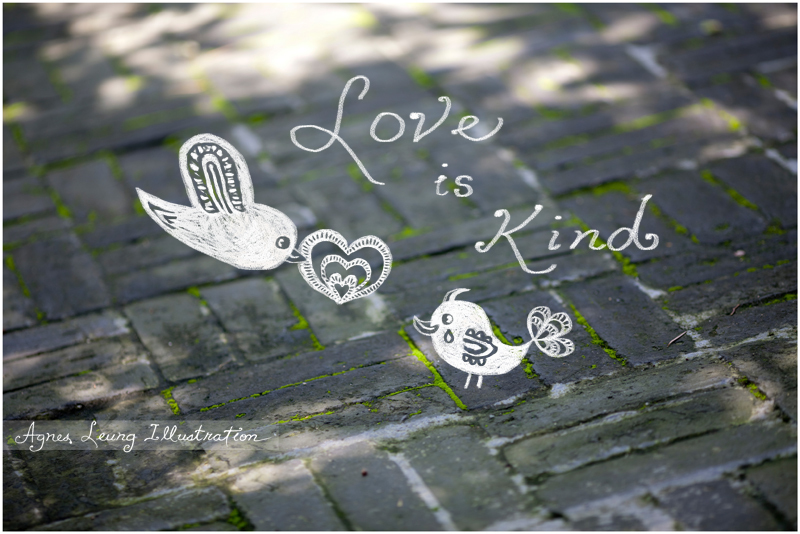 Love is kind: may we share more of our love and care to those around us! A new illustration series, I name it roughly “chalky birds" at this exploration stage. Any comments and suggestions will be more than welcome :)! Illustration on my own photo. Software: painter + photoshop, with Wacom tablet. i love it! i love chalkboard stuff!